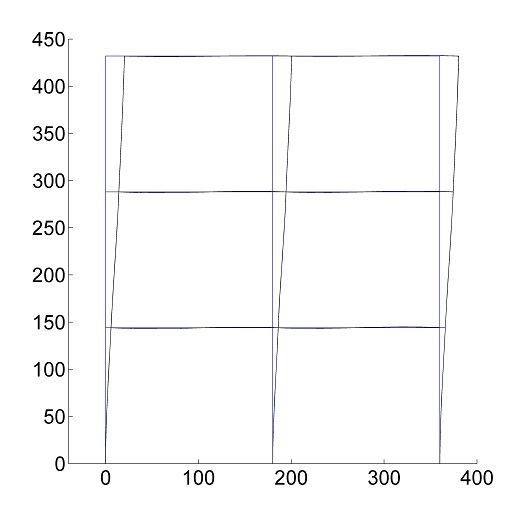 This MATLAB code is for two-dimensional beam elements (plane beam structures) with three degrees of freedom per node (two translational -parallel and perpendicular to beam axis- and one rotational); This code plots the initial configuration and deformed configuration of the structure. Results are verified with examples of textbook; arbitrary input geometry, nodal loads, and material properties for each element can be defined by user. How can I get this code (matlab files or functions)? You may have these codes for your research purposes. Email me at hosseinali.sut@gmail.com using your official/academic email address. What other codes are available at matlab-fem.com? What is Finite Element Method? MATLAB (matrix laboratory) is a multi-paradigm numerical computing environment. A proprietary programming language developed by MathWorks, MATLAB allows matrix manipulations, plotting of functions and data, implementation of algorithms, creation of user interfaces, and interfacing with programs written in other languages, including C, C++, C#, Java, Fortran and Python. What reference books did I use for my codes? Disclaimer: matlab-fem.com is not endorsed by MathWorks, Inc. or any other entity.